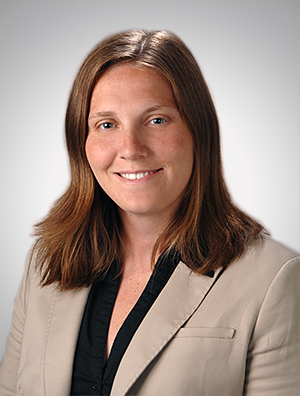 Nicole Bashor is a patent attorney in the Intellectual Property Group and a member of the Corporate Venturing Team who helps clients obtain, enforce, and defend against patents involving primarily mechanical, software, chemical, and medical device technologies. Nicole assists clients in all stages of business development to implement long-term intellectual property strategies that integrate the procurement and enforcement of intellectual property rights. She also has experience in prosecuting, licensing, and providing pre-litigation and IPR strategy advice for patents and trademarks, both nationally and internationally. She represents companies in a broad range of industries and technologies including consumer products, software, food and beverage, water treatment and purification, medical devices, aquaculture, filtration, chemical engineering, pumps, oil and gas, wax formulations, aerospace, nutritional supplements, and manufacturing. Nicole maintains and manages large patent portfolios internationally, negotiates IP and technology agreements on behalf of her clients, monitors competitor patents and products, provides design-around guidance early on and throughout the R&D process, and counsels clients on potential infringement risks. As part of her client service, Nicole routinely drafts opinions concerning patent validity, infringement, and patentability. In addition to providing traditional utility patent guidance, Nicole is on the forefront of design patent law and is frequently protecting her clients' technologies using creative design patent claiming strategies. Nicole's clients range from start-ups to Fortune 500 multinational corporations, and she has an extensive background in providing global patent strategies, landscape, acquisition, and due diligence advice. For example, Nicole currently assists a $9 billion consumer products company with its patent strategy, manages an international patent portfolio and clearance matters for a $10 billion multi-national water and industrial company, and provides patent landscape and clearance advice to one of the world's largest pharmaceutical and medical device manufacturers. Finally, Nicole understands that the objective of each company is different with respect to its IP strategy and enjoys working closely with in-house counsel and the engineering teams to develop a strategy that is tailored to exceed all business goals and objectives.